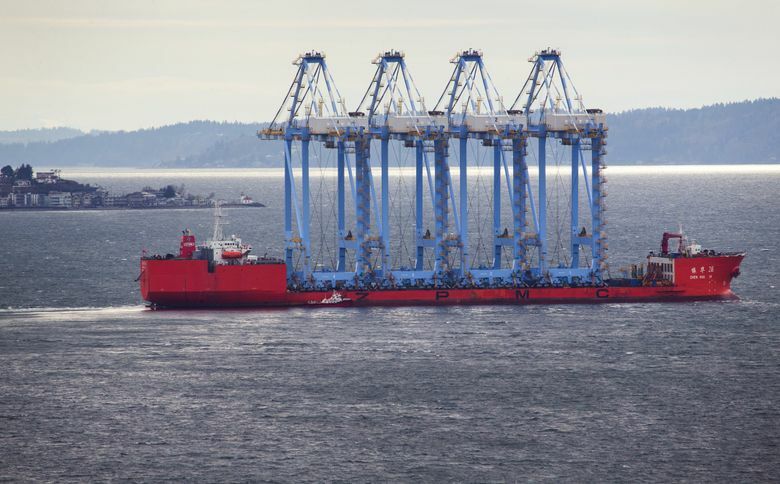 The new cranes are among the tallest of their kind on the West Coast and are part of a $250 million project at the Northwest Seaport Alliance’s Port of Tacoma. 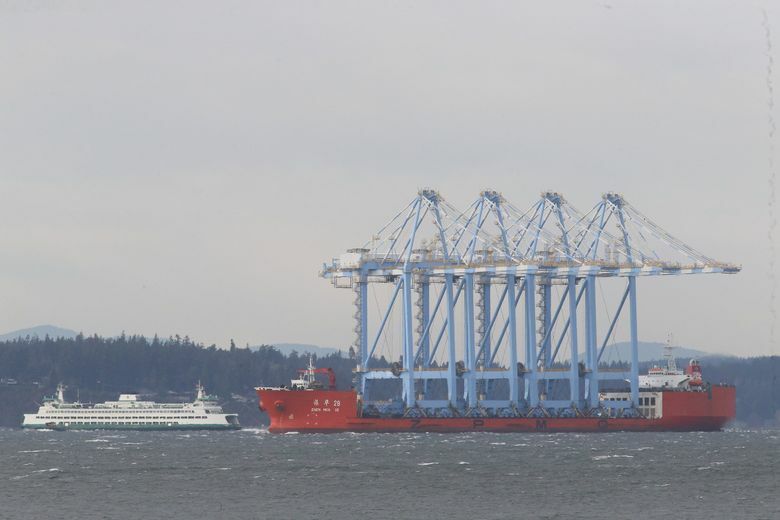 You may have caught an unusual sight on Seattle’s western waterfront Friday: four giant cranes making their way through Elliott Bay aboard a single container ship. Big ships are visible from Seattle pretty regularly, but this one was a doozy: The orange ship itself was 761 feet long. 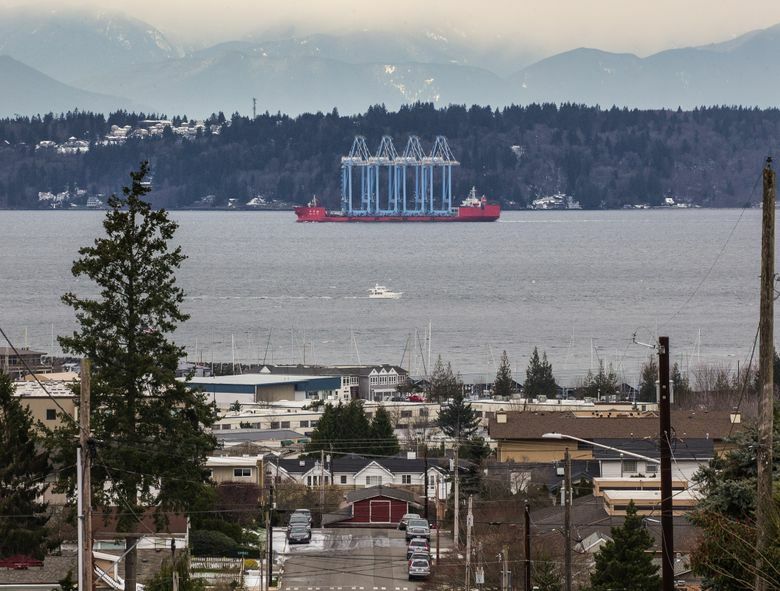 Its cargo was even more noticeable: The four blue cranes each tower 434 feet into the air with their booms up, taller than Godzilla but shorter than the Space Needle, according to a helpful graphic put together by the Northwest Seaport Alliance. The cranes were built in China and set sail for the U.S. last month. 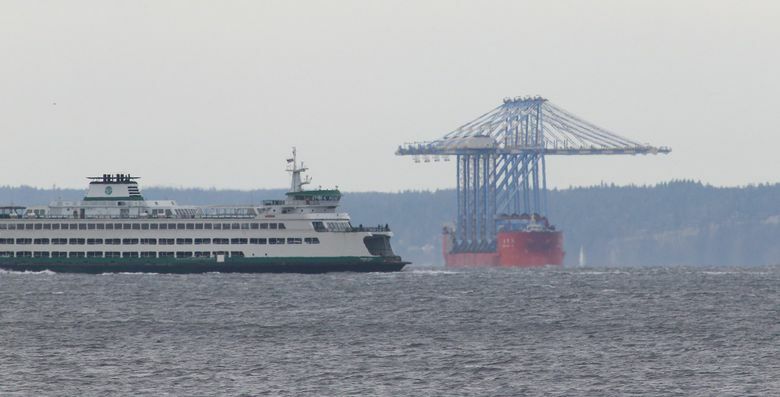 On Friday, the ship came down from Port Angeles in the wee hours and passed between downtown Seattle and Bainbridge Island by lunchtime. It stopped briefly in Elliott Bay to pick up a new pilot. In the late afternoon, it reached its final destination: the Port of Tacoma. The cranes, along with some in Long Beach, Calif., will be the largest container cranes on the West Coast. 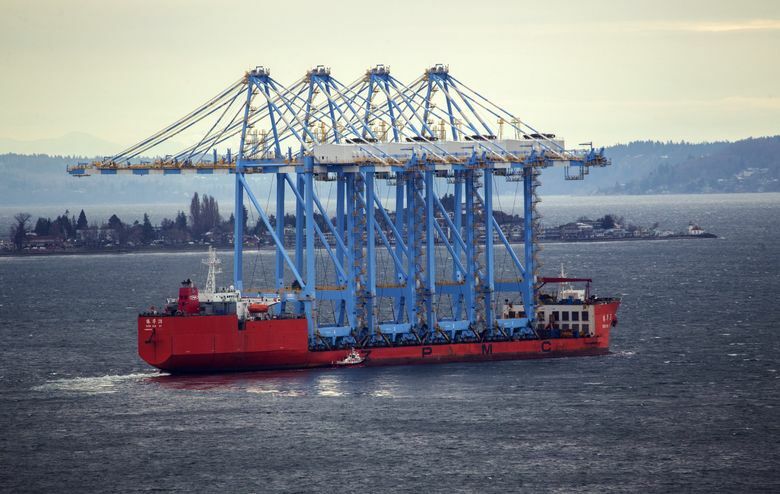 The seaport alliance had ordered eight of the cranes from China for the Port of Tacoma; the other four are set to arrive next year. It’s part of a $250 million project that began in 2016 and will ultimately allow the eight cranes at Pier 4 to serve two huge container ships at the same time.